Effective safeguarding supervision reduces risk to children and young people while identifying their needs. Safeguarding supervision also helps front-line practitioners to provide high-quality care, risk analyses and individual action plans. This article is part of a wider study that explores the author’s leadership behaviours and their impact on effective safeguarding supervision. 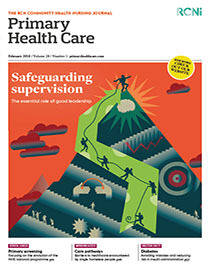 The role of the safeguarding leader is evolving and the article explores relevant literature to support or refute the role of the leader in effective safeguarding supervision. A literature review was undertaken using Aveyard (2014)’s critical appraisal tool to provide structure and accuracy. The review showed the interconnection between positive leadership behaviours and effective safeguarding supervision. It also highlighted the positive effect on the practitioner’s well-being of being supported by experienced, effective and compassionate leaders.